Get ready to see an incredible night light. A comet, an icy ball of solar system debris, is simply a “dirty snowball” hurtling through space. As it heats up from the sun, gasses extend behind it; the comet’s body, called a “nucleus” appears to develop a tail, called a “coma.” This is due to the effects of solar radiation and the solar wind upon the nucleus of the comet. 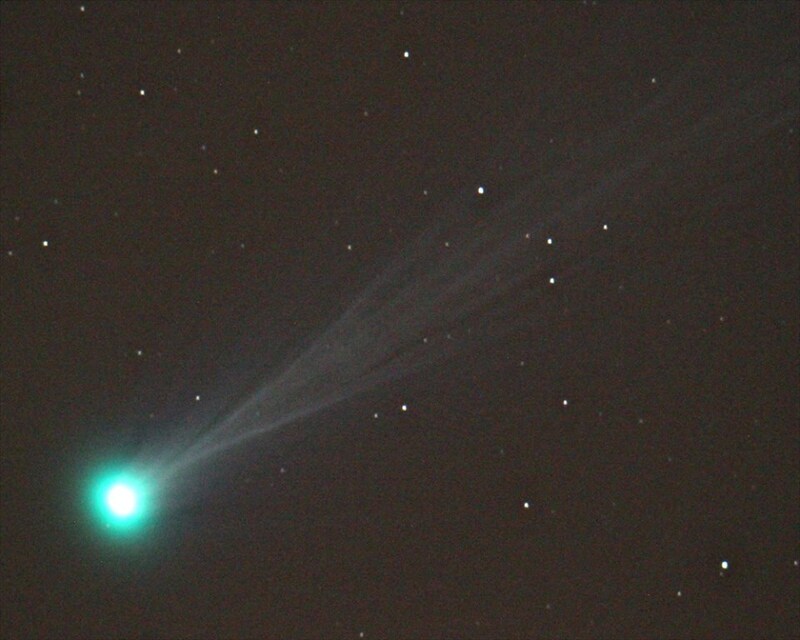 Comet ISON was first discovered by Russian amateur astronomers Vitali Nevski and Artyom Novichonok in September 2012. 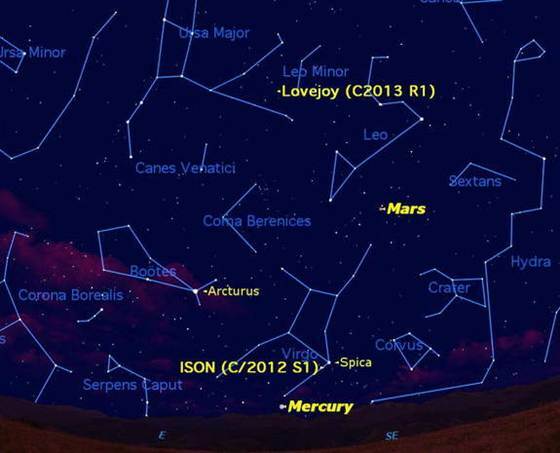 The comet is officially designated C/2012 S1 (ISON), with ISON standing for International Scientific Optical Network. It had a bit of a disappointing start but ISON is now visible to the naked eye and it appears to be getting brighter the closer it gets to the sun. The peak is predicted for November 28th. Will it be something else to be thankful for? ISON certainly has the potential to be “the comet of the century.” According to the Association of Lunar and Planetary Observers, ISON is now shining at a magnitude +6.1. Next Monday morning (Nov. 18), ISON will be passing close to the bright 1st magnitude star Spica in Virgo. 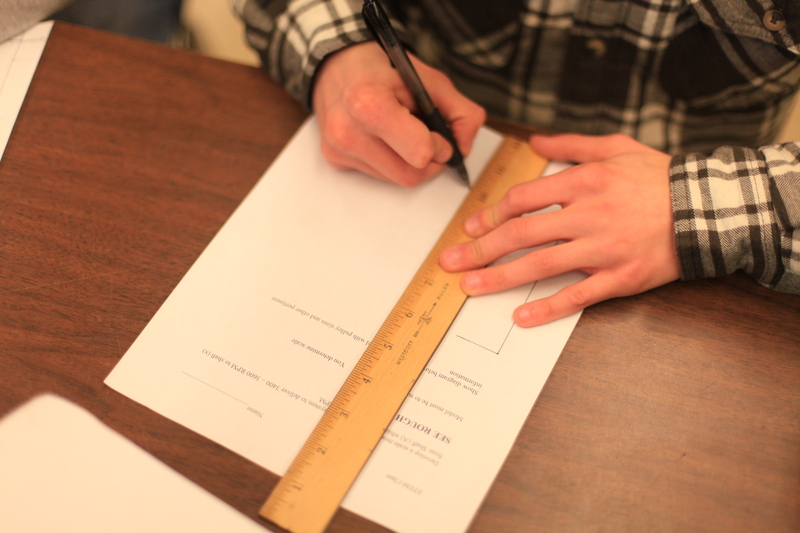 Using the handle of the Big Dipper, sweep an arc to the brilliant orange star Arcturus. Then continue that arc on to Spica. Using binoculars, ISON should still be readily be visible as a fuzzy star with a short tail. Good luck night sky watchers! Today, I visited Culver High School to get an update on the STEM Learning partnership developing between the school and the park. In the Fall, the STEM (Science, Technology, Environment, and Mathematics) classroom toured the park, and collaborated with park staff on project opportunities that would utilize the foundations of STEM while improving the park’s green energy components. 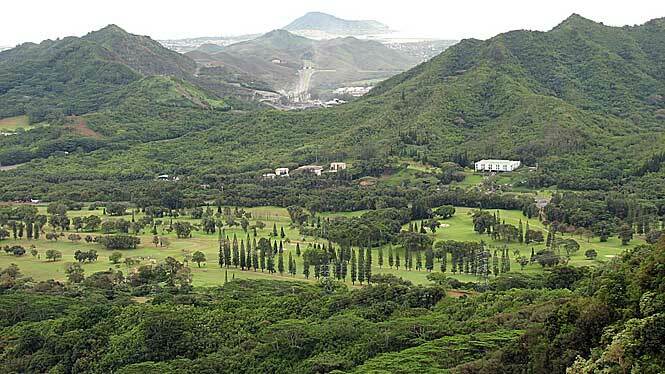 I started the morning hanging out with Mr. Dove’s Environmental Education class, and he told us about his trip to Hawaii over winter break, and his experience visiting Hawaii’s State Parks. 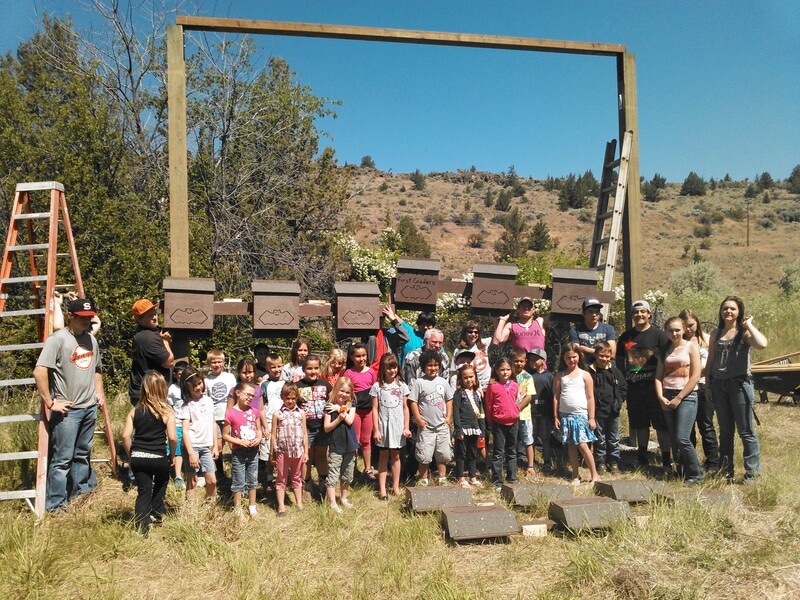 As a class, the differences and similarities between Oregon State Parks were discussed, and the students evaluated Oregon State Park’s mission statement. 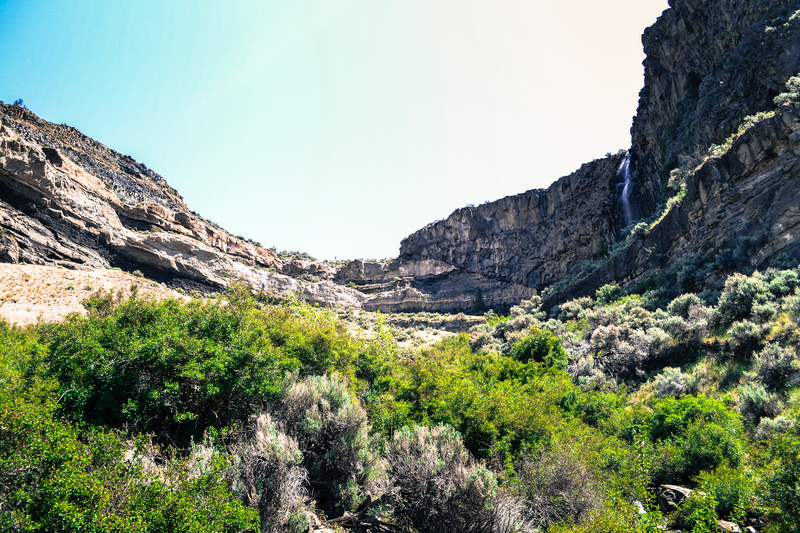 The mission of the Oregon Parks and Recreation Department is to provide and protect outstanding natural, scenic, cultural, historic and recreational sites for the enjoyment and education of present and future generations. The students were asked, what do these words mean to you? To PROVIDE and to PROTECT? What is a scenic site? What is a cultural site? Why provide and protect for enjoyment? Why for education today, and tomorrow? The ideas were flowing! 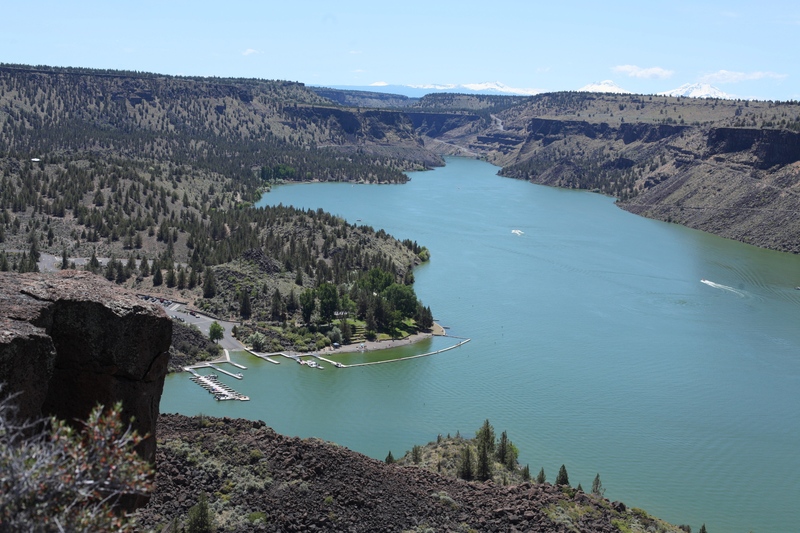 I was so impressed to see that so many students actually knew and appreciated why this was the mission for Oregon State Parks, and were aware of the strategies and management principles that took place here at the Cove to preserve and protect the amazing land surrounding Lake Billy Chinook. I definitely feel that growing up near a well-known State Park helped them gain this positive perspective. 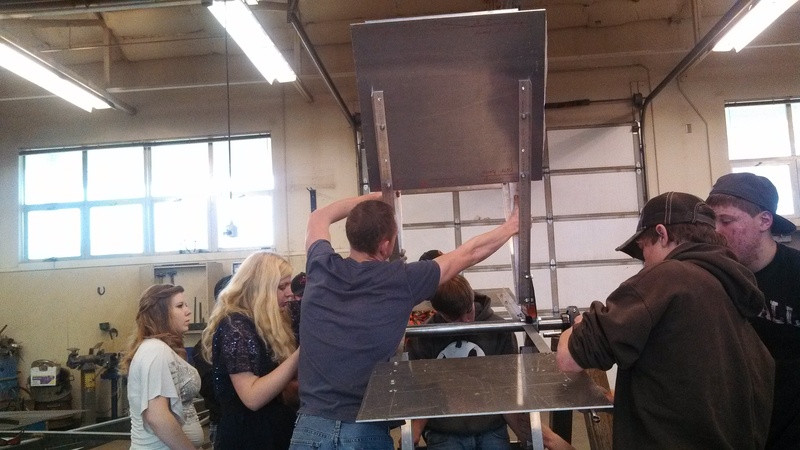 Next, I went to visit Mr. Crawford’s Agriculture and STEM Learning class, to get an update on their progress with the hyrdroelectric generator they are designing for an irrigation ditch that runs through Crooked River Campground. The goal is to develop a generator that would create electric power for some of our Campground facilities, and a great boost for the project came from our neighbors at Pacific Gas and Electric Company. These students have been working hard at getting the generator in working order, granted only a couple hours a week of classroom time to collaborate as a team and make their ideas come to life. 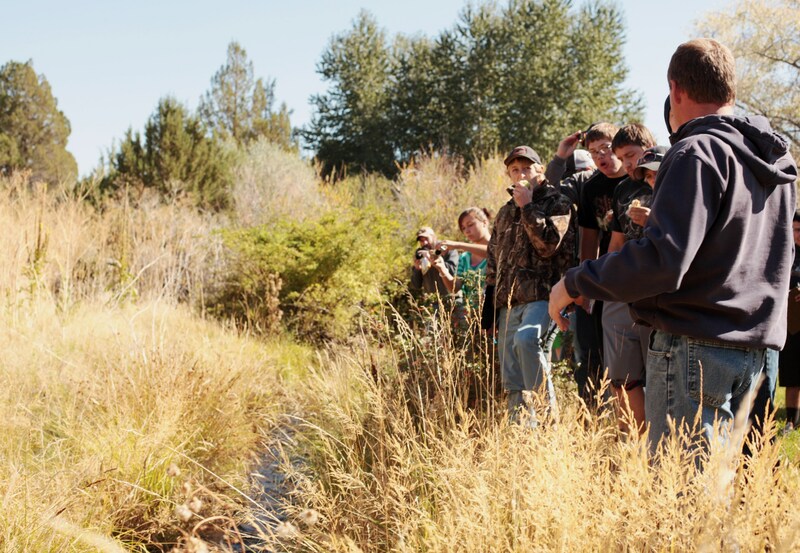 Students take notes at the Crooked River Campground irrigation ditch and evaluate it’s potential for hydroelectric energy conversion. 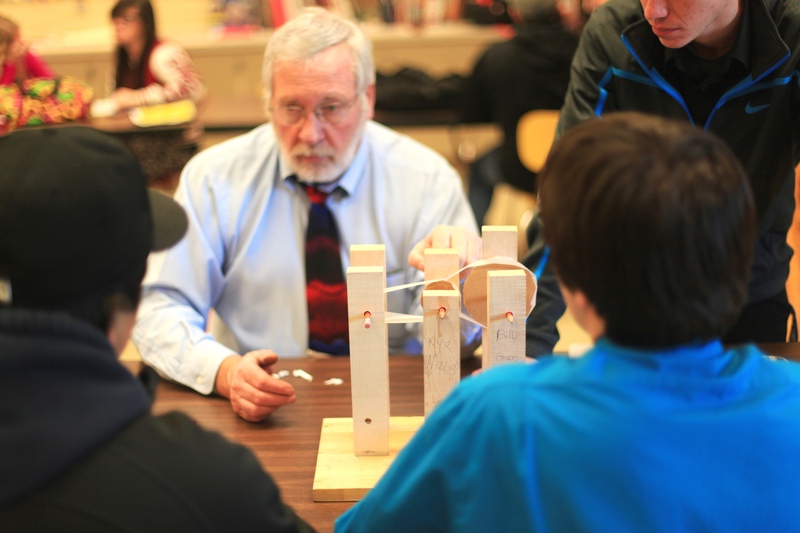 Mr. Crawford has taught his students about alternative energy, including kinetic power, from the ground up. 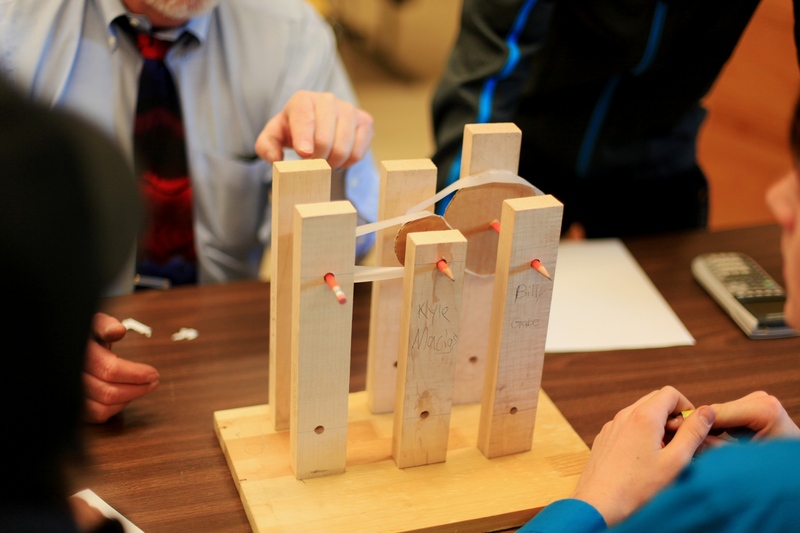 His hands on, kinesthetic approach to teaching, mixed with an awesome work space (a huge garage room with lots of equipment, tools, you name it) has provided students the chance to bring their creations to life, experiment, tweak them, or start over. 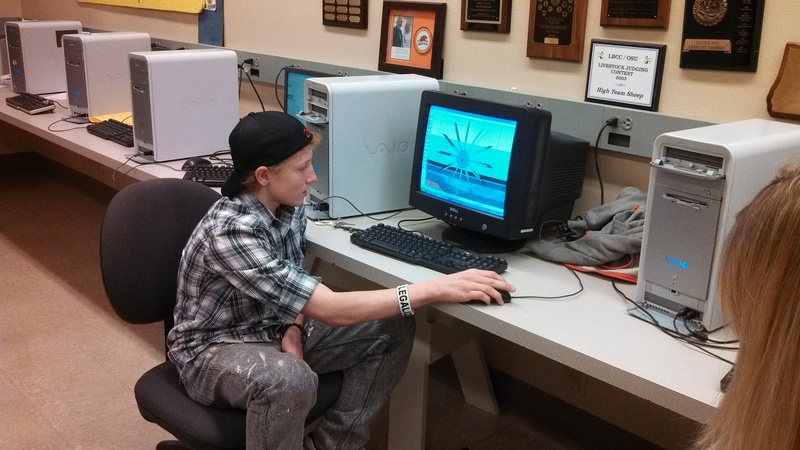 Mr. Crawford has assigned students to create a model 3500RPM generator. To understand the transfer of RPM’s, Crawford has designed this example to get the ideas flowing. 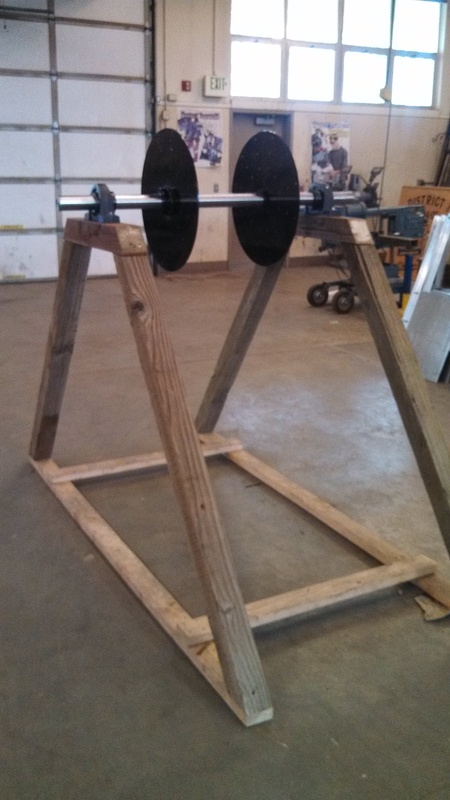 The assignment for today’s STEM class is to build a scale model belt/pulley system to deliver 3500rpm from the first point (Shaft A…currently running at 150 RPM’s) and to increase to 3500 RPM by the last point (Shaft X). Similarly to a generator, they can only use pulleys. 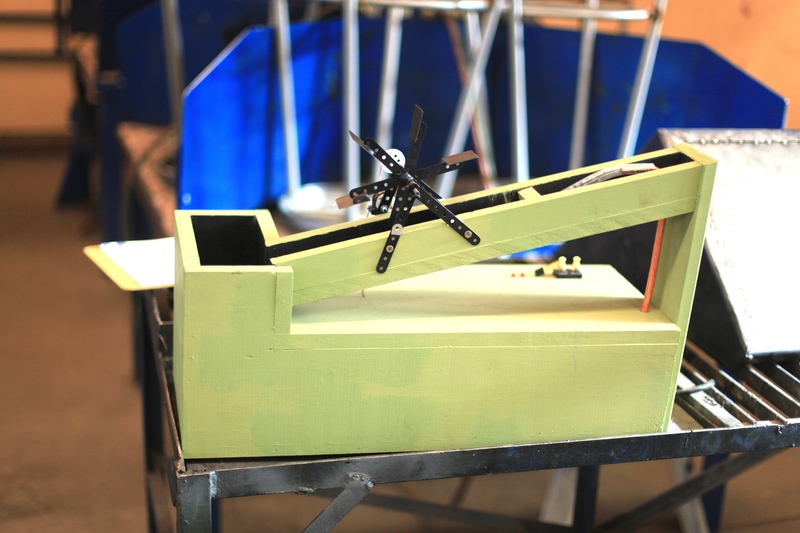 The students are developing this small scale generator as a step in learning how this hydroelectric generator is going to work, from the ground up. Through the generosity of Chad Bethers (one of the owner operators of Elite Electric in Tumalo OR. 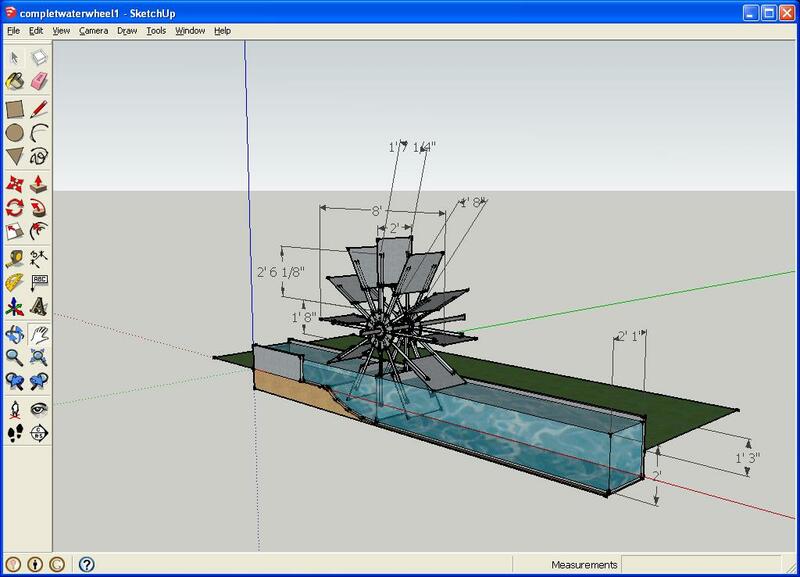 ), they have been created a small scale model of what the hydroelectric generator could potentially look like. With this resource, they are able to visualize their plan in action and contribute pieces as they move along. 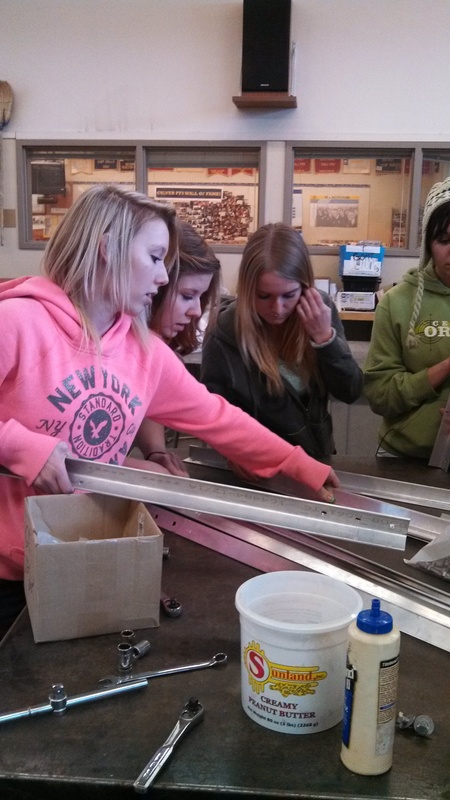 C. Bethers set the foundation by creating this mini hydroelectric generator model for students to use. 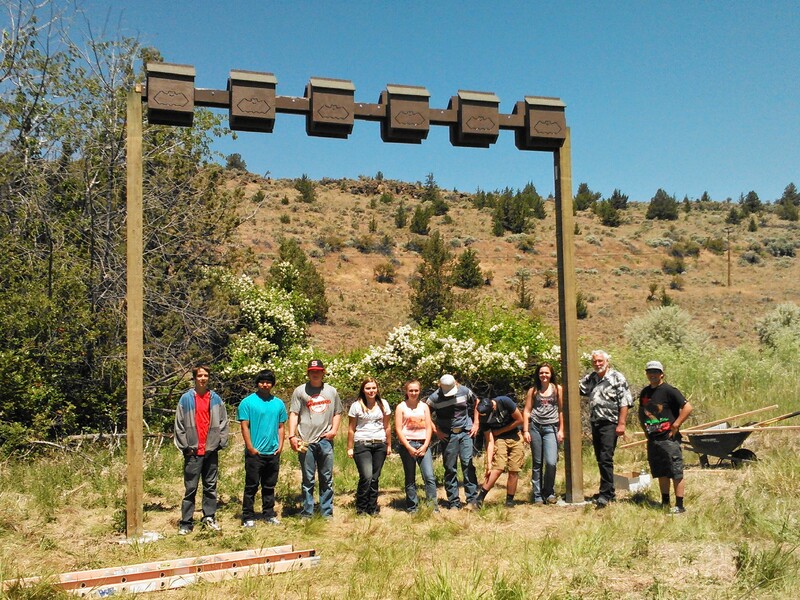 The students have worked with it to add the proper accessories to build what they believe to be a successful example of what could be used in the irrigation ditch at the Cove. 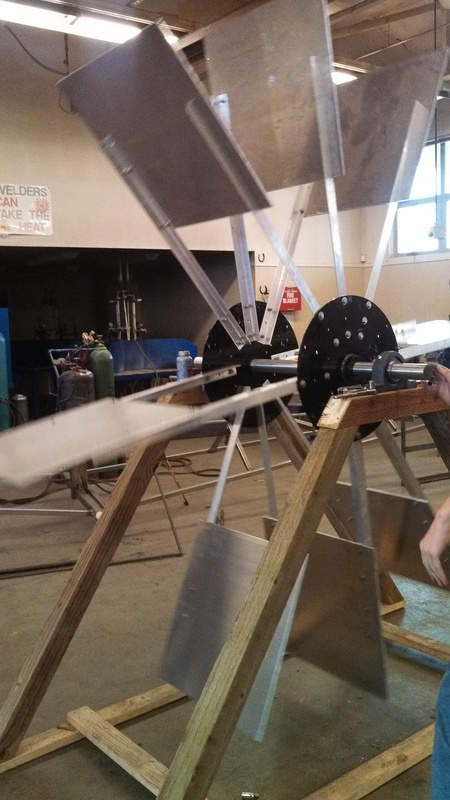 The RPM of the propeller will be controlled by the speed of water with the assistance of gravity. 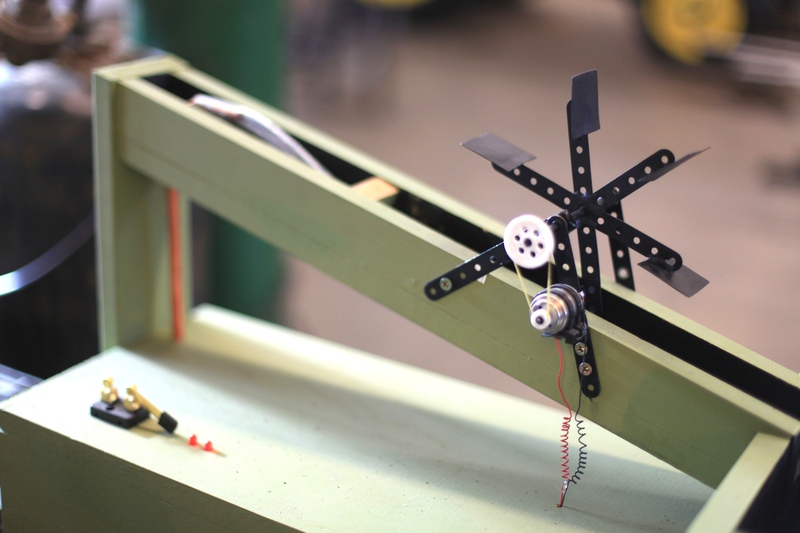 Read on for some information and pictures on some of their creative contraptions. 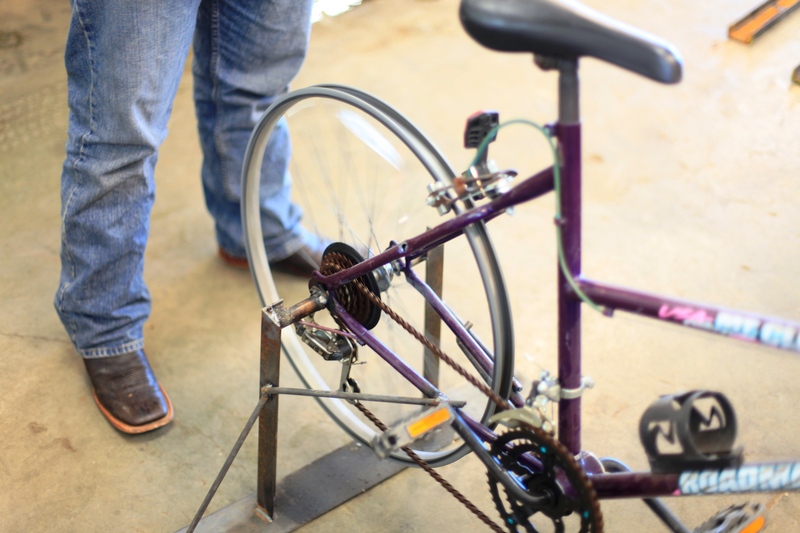 This bike has a built on mechanism on the wheel that has the ability to use the energy of the person turning the wheel to process and convert higher RPM as an output. 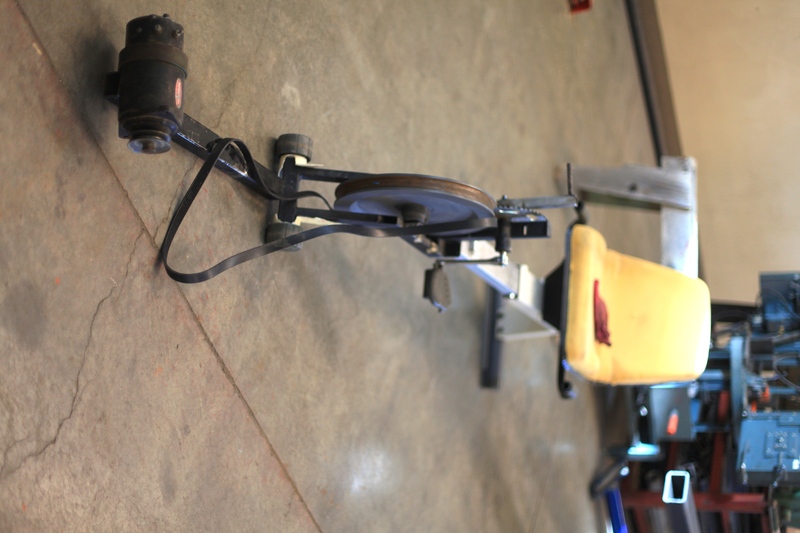 An exercise bike converted into a pulley system, used to understand how mechanical power, torque, and speed can be transmitted across axles. The classroom’s next task? To understand the importance of water depth, and the value it holds when it comes to the generator. After using mathematics, earth science, and technology to understand the role of water depth, the class will advance to the beginning stages of the real generator, and the first step is to design and build a though for the ditch. With this type of motivation and engineering skill in the brains of our younger generations, I would say the future is looking very innovative and bright. Stay tuned!